I don’t live too far from Seaside Heights so my husband and I like to go to the beach a couple times a year. I rarely go in the summer. I am not a fan of roasting myself in the heat. We usually go in the off season and specifically we go to to play some games at the arcade and have pizza. I have so many points built up because I have a tough time deciding what to cash them in for. I kept passing on these little 3D puzzle kits but finally thought I’d give one a try. I don’t know why, but I didn’t realize there were so many pieces. I also am no good at puzzles. Thankfully, it came with directions. the print was very small though. 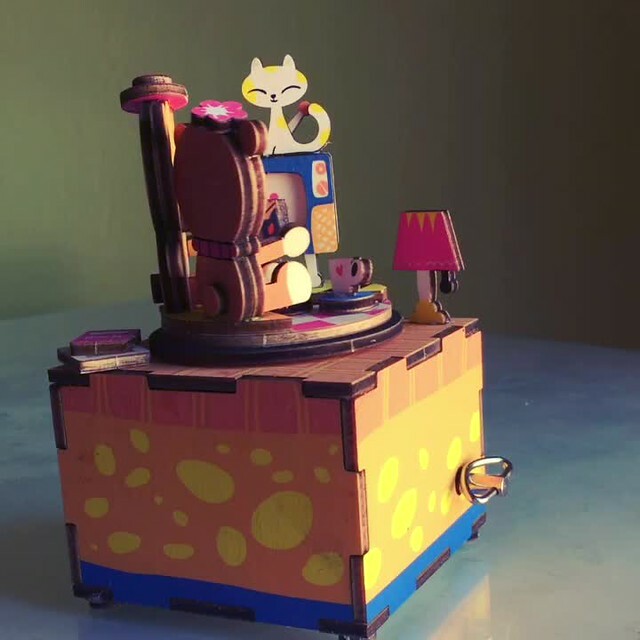 It really never crossed my mind that I would need to assemble the mechanism to make the music play and spin!